Quick, M. (2012). 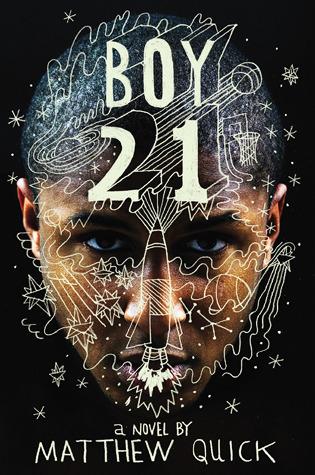 Boy21. New York: Little, Brown Books for Young Readers. Personal reaction to the book: A book about the transformative power of friendship. Wow. We’ve been reading a lot of YA books with a background of mental illness for this class (Wintergirls, It’s kind of a funny story, etc.) and some that deal with loss and trauma (The outsiders, The water castle, Holes, The chocolate war). This is the best of the lot, by a wide margin. Just a great book. One criticism: Girls are likely to feel left out, as it is told from the PoV of a teen-age boy, and the only female character in the book is “the girlfriend.” But there’s lots of great YA lit out there for girls these days, so this is one for the boys. The characters are rich and believable. The plot holds together nicely. This was probably the biggest pleasant surprise of the class. Author facts: Matthew Quick worked in a variety of roles in high schools in South Jersey, including basketball coach. He left teaching to take up writing in 2004. His The silver lining playbook was made into an Oscar-winning film.